People love the intimacy of communicating through photos and videos. Snapchat proved that. Now Facebook wants more of these visual conversations happening in Messenger so it’s added video sharing plus faster photo uploads and camera access in an update for iOS today that’s rolling out to Android this week. The new message composer puts the camera, photo reel, stickers, and audio messaging all one-touch away. 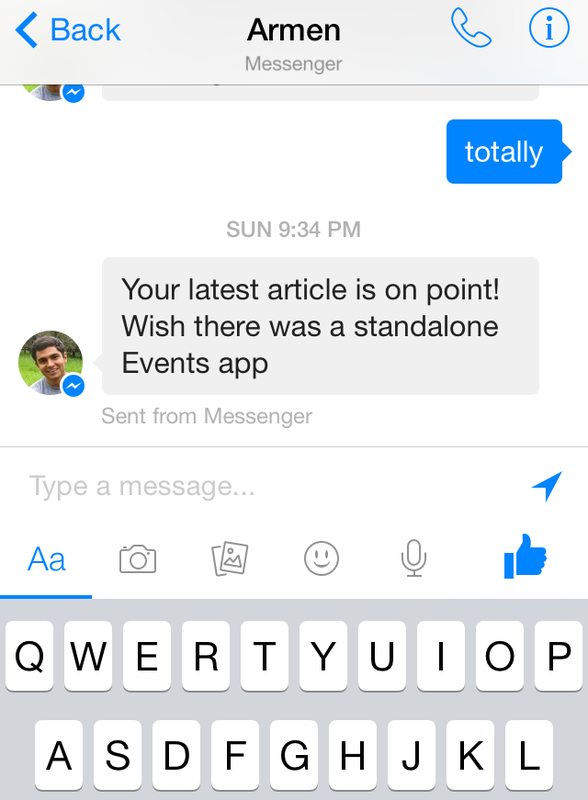 Facebook even wants Stickers to be conversational, so it’s making them viral. When someone sends you a sticker, you can tap and hold on it to download that pack. It’s also quicker to find who you want to chat with thanks to a new always-open search bar on the recent conversations tab. Until now, Facebook Messenger could only send photos, not videos. Now you can send them and watch them in-line, but not record them in-app. WhatsApp recently revealed that its users share 100 million videos a day, which may have lit a fire under Facebook to get this feature released. 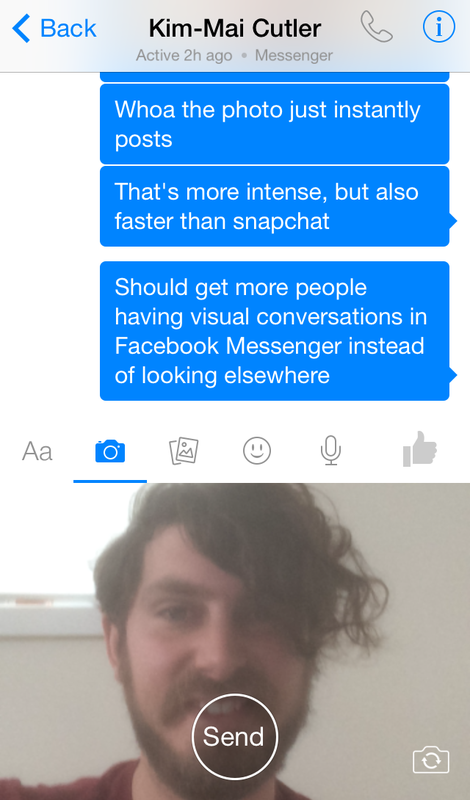 The new selfie system gives Messenger a much more immediate feel. Tap the visible camera icon and half the screen turns into the front-facing camera viewfinder. Tap once more and your selfie is instantly sent. It actually feels a lot brisker than Snapchat, which always forces you through the recipient selector screen after your shoot a pic. The new design sacrifices some chat window space to make room for the new attachments bar below the text composer. But by making the multi-media options instantly available, Facebook could get more of its 200 million Messenger users sharing more than just text.